The Democratic Congressional Campaign Committee is field-testing a new bumper sticker slogan that says, "Democrats 2018: I mean, have you seen the other guys?" The proposed slogan appeared in an email from the DCCC asking subscribers to vote on which new bumper sticker they would like to own. The largely negative campaign angle earned a less-than-enthusiastic reception in some quarters of Twitter. Other proposed slogans included "she persisted, we resisted" and "make Congress blue again." 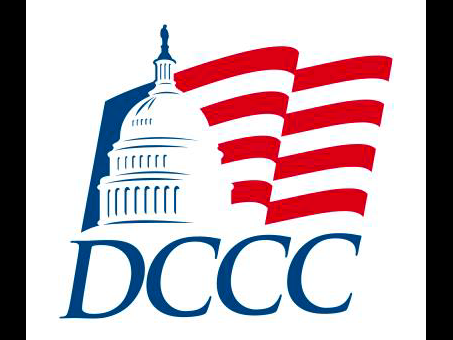 The National Republican Congressional Committee responded with its own bumper sticker idea for the DCCC, proposing, "Democrats 2018: We win moral victories, not elections." According to an April poll, more Americans consider the Democratic Party "out of touch" than are either the Republican Party or President Donald Trump. UPDATED 4:59 P.M.: This post was updated to include a tweet from the National Republican Congressional Committee. This entry was posted in Politics and tagged DCCC, Democratic Party. Bookmark the permalink.